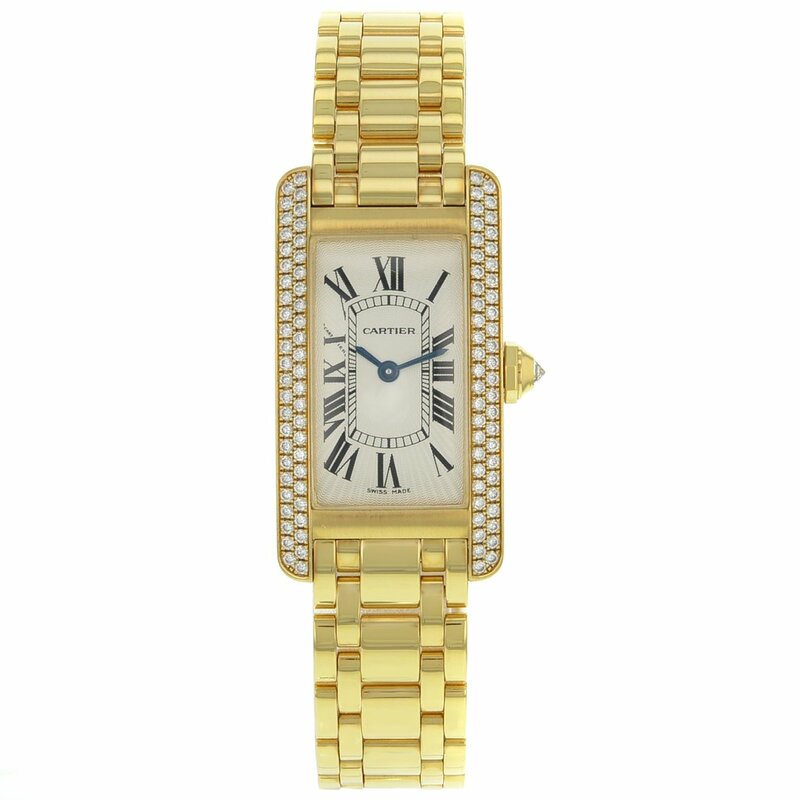 This by no means been worn Cartier Tank WB7043JQ is a gorgeous Womens timepiece that may be powered via a quartz movement that’s cased in a yellow gold case. 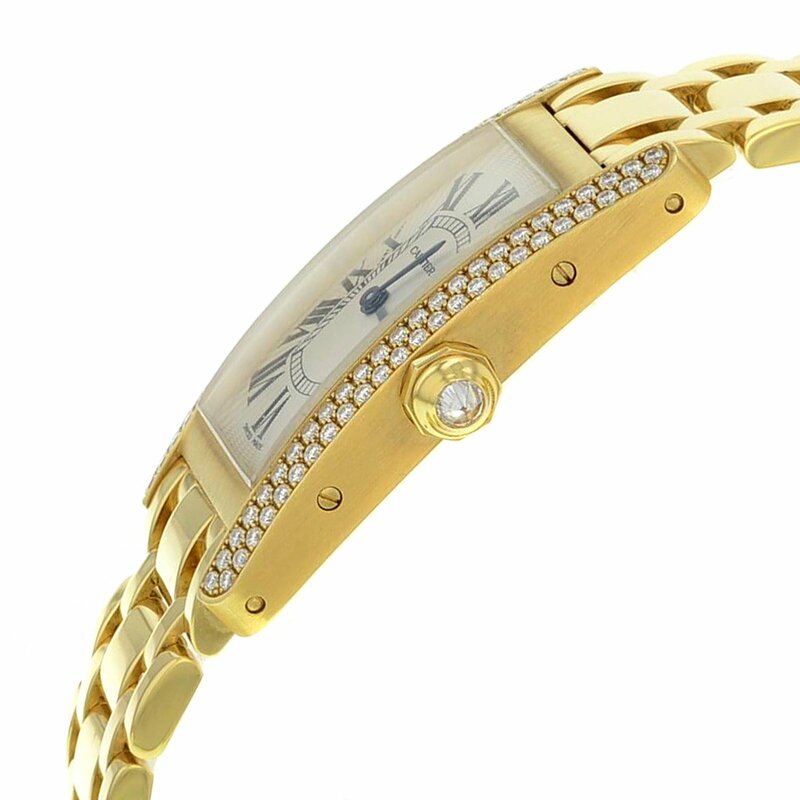 It has a rectangle form face, no options dial and has hand roman numerals taste markers. 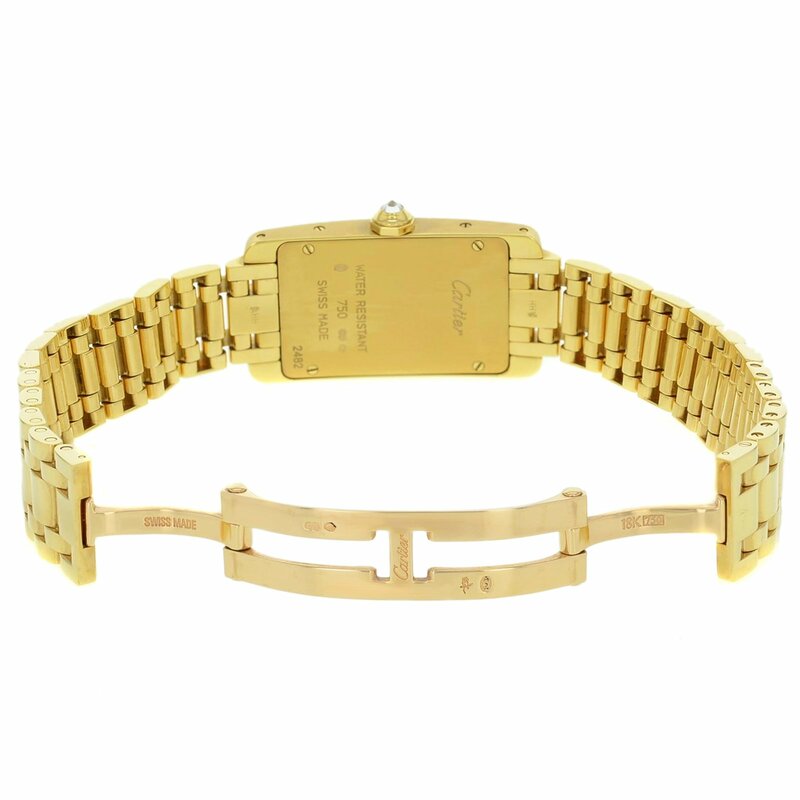 It’s completed with a yellow gold band that opens and closes with a double folding clasp. 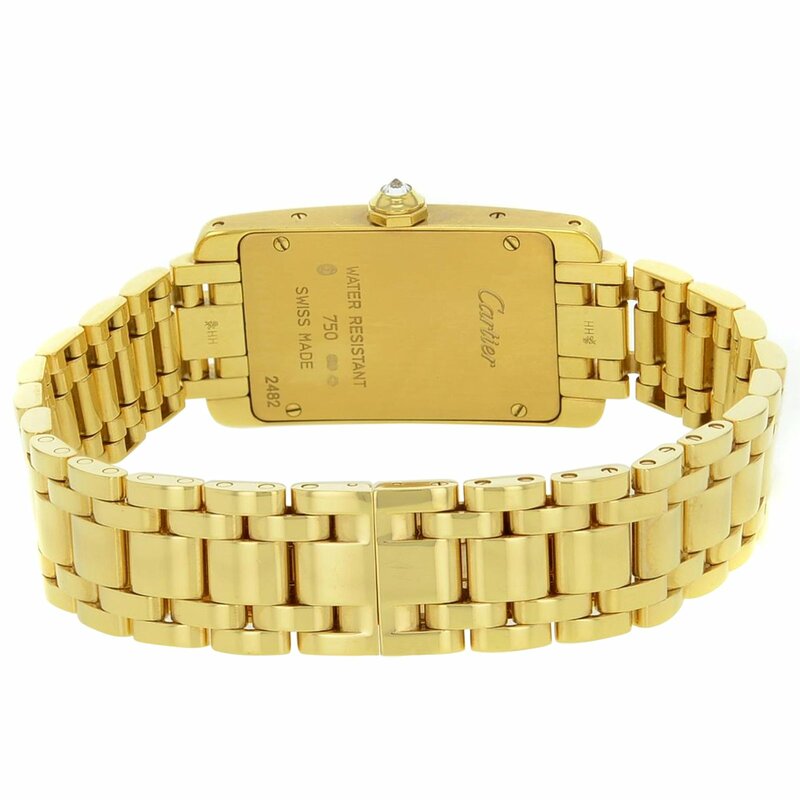 This watch comes with authentic box and papers.